Can Microsoft create killer hardware and software? What if Microsoft pulled a page out their early playbook and created software for the most popular platforms, be it desktop, tablets or mobile? What if Microsoft was less concerned about owning the entire mobile ecosystem and instead was a player on all platforms? I can’t imagine owning an Android tablet or phone. But because Google brings apps to iOS, they have my businesses. I wouldn’t hesitate to pay for premium versions of GMail and Google Docs. I run Chrome and use Google Search multiple times each day. Too much of my life runs through Google apps. No way am I switching to a competitor at this stage. I understand that Microsoft hopes to sway me into buying a Surface tablet and Windows Phone by getting me accustomed to the look and feel of those products through Windows 8. But the train has left the station, and I’ve already committed to another tablet and phone, that when combined, are used more often than my Windows PC. And that delta continues to grow each year as my tablet and phone perform more of my day to day tasks. This year, Microsoft will get $39 from me for a Windows 8 Pro upgrade and $60 for an Xbox Live Gold account. That’s better than nothing but still a fraction of what I’ll give Apple for games, apps and music among two iPhones, two iPads and three iPod Touch. Why does Microsoft continue to toss hundreds of millions into Windows Phone when the best they can do is take 3rd place? Why not create best of breed apps across Android and iOS and offer them to billions of customers instead of a few million Windows Phone owners? Some may point to the success of Xbox to show Microsoft can make their own hardware and own the end-to-end experience. Sure, Xbox can be found in millions of living rooms, but it adds very little to the bottom line for Microsoft. Microsoft still derives most profits from Windows and Office. They dabble in entertainment, and search and business software, but if you look at what drives profits to the bottom line, it’s Windows and Office. Unfortunately, Windows and Office take a backseat to tablets and smartphones in terms of growth potential, two areas where Microsoft had a head start, but got shoved aside by RIM, Apple and Google. 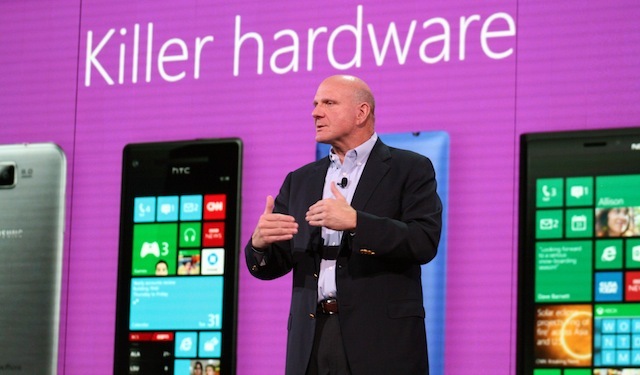 They are trying to crawl back into the game with products like the Surface and updates to their Windows Phone platform. And, both seem like decent products, but they spotted Apple and Google a three to four year head start, and it doesn’t appear that carriers or customers are looking for a third alternative. Developers already have a huge audience developing for Android and iOS which explain why Microsoft is having to pay developers to build apps for Windows Phone and new Windows Store. Why does Microsoft believe they need to become like Apple? Some of my favorite software products came from Microsoft but have been abandoned like Windows Live Writer and Digital Image Pro. I used to love Windows Messenger and Live Mesh until they started changing their names, and morphing into other products. I’ve been running Windows 8 Pro for just over and month. With one exception (older Creative soundcard), it’s been a easy transition from Windows 7. Microsoft can put an army of talented software engineers behind a product like no other company can. I just wish they spent more time creating excellent software across all platforms.